Whew- it's been a hot minute since I've blogged. Work, busy, Holiday, etc, etc, etc. And actually there has been tons to say...I've got a whole photo of edited photos just ready to go! As Lauren would say, I just needed some time to refill the bucket. Ellie had her stifles injected on Thursday so I mentioned to Ali that I would be more than happy to ride any seconds on Saturday, thinking I'd be able to grab a quick ride on one of the lesson horses. Luckily for me the working student was sick (although not great for poor McKenzie) and there were THREE for me to ride! Two sale horses and one client horse. All SO lovely. Evan, the horse on the left below, is my gelding crush....yum yum yum. Nero on the top right is owned by a fun ammy and he's stalled next to Ellie! Expresso on the lower right is super smooth and that suspension (I couldn't help but get a little video). 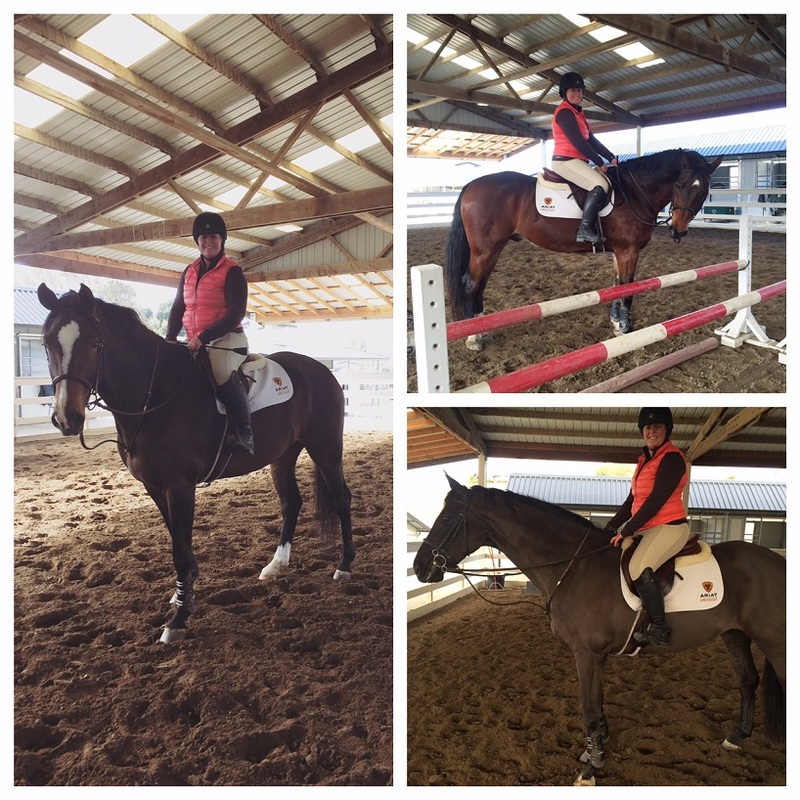 What a super fun treat to be able to get some saddle time on these amazing horses! So handsome!! He is gorgeous! He looks like a lot of fun to ride! Also, I love your outfit, especially the vest! Lucky girl! Sounds like a fun day. What a fun day of different horses. oooh lucky you - they all look like so much fun! Why is Vegas so Weird?